We are really proud of this little girl who is born to a super mum indeed. Her mother we purchased a number of years ago and her sire is Kensmyth Legend who is out of Aria who is by Peruvian Spartacus. 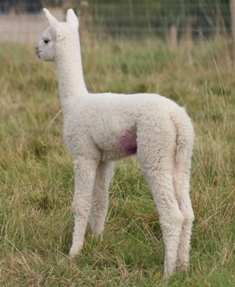 Elite cria from Elite bloodlines and look at the result! don’t you just love it when they tip the wheelbarrow over and try and take off with it! 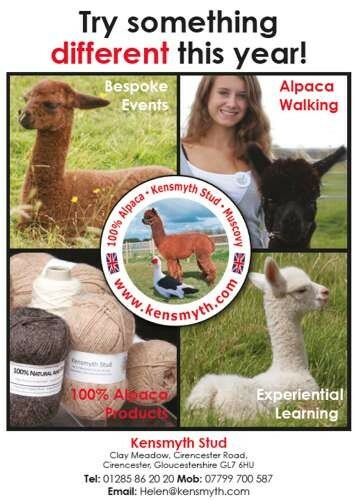 Many folk know that we have special lanes around our farm for Biosecurity purposes and Alpaca moving… we also have the marquees for Events close to the farmstead and totally separate to the Alpaca grazed fields but they can see with ever increasing curiosity as to what is happening . pity about the washing on the line in the photo! sunset on summer Alpaca – an Indian Summer? well the sun has faded, the temperatures have dropped and the weather men still did not forecast the rain that came today. Sometimes though, one looks at the winter with the welcome of the seasons and I am really pleased that, as I had as a child (showing my age) we seem to be getting more of a difference now. Autumn is definitely on the way, we definitely had a Summer and we definitely had a Spring this year. Winter is to follow. 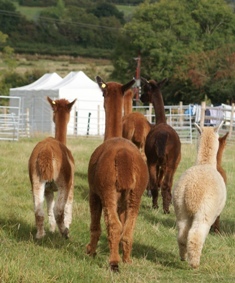 Meantime, some of our cria are definitely setting their sights on the British Alpaca Society National Show 2015…. Well today has been a funny old day weather wise – starting with around 11 degrees and not really getting that much noticeably higher because of the wind. What a change. Still, Autumn is on its way, blackberries are out, apples nearly ready and plums soon too. 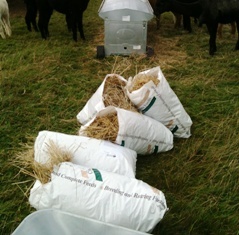 Hay and straw in the barn and fat chossy cria will be prepared for Mrs Winter. Preparations for early cria always involve cria coating and now is a time that I take a good look at the coats and do the mending, washing and rewaterproofing. Cria coats are drying everywhere then waxed and dried again before putting away for next years babies due! Yes that is a skirting table they are laid out on and I am only a quarter way through that job too! well we have been busy with birthing and various husbandry issues and grass care but our Alpaca Walking has really taken off this year. 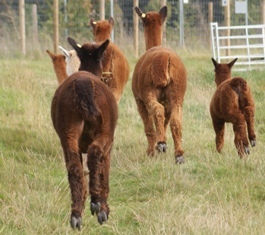 Mum wanted to see some of our first born Clay Meadow cria doing their jobs (ie yearling males) and so here we have a glimpse of the pleasure of Alpaca Walking at Kensmyth!! 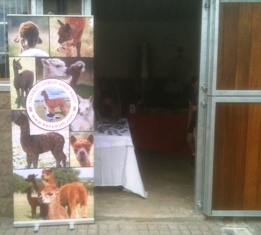 I promised to come back to you on the Alpaca stand we took to the VWH event which was fab as usual. 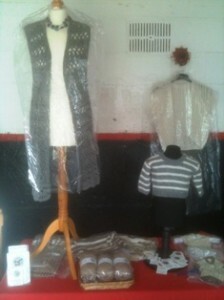 So lovely to be invited to display our lovely Alpaca stand and products. I even managed to catch up with my old Blacksmith… well he’s not old actually but its nearly 7 years we have been breeding Alpaca not horses now! Great fun had by all! 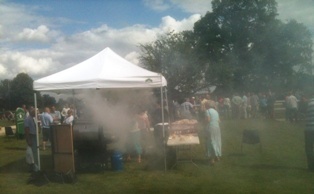 Mitchells Duck book display was fab… and the burgers were excellent – great turn out! 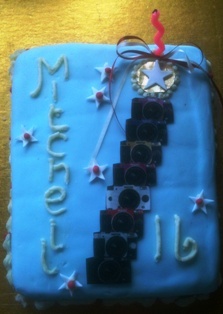 wow – it seems so long ago now but here is the ever faithful Grandma cake maker cake… I guess the name gives whose 16th it was! Mitchell currently works for a Film Production Company – his lifelong ambition and hence the cameras. It is raining as I type which is really rather odd as it is 9 pm, pitch black and no rain forecast. zip in fact for tonight. Nights are still warm and plenty of sunshine hopefully ahead for the rest of August. Would we be lucky enough to get an Indian Summer after the heatwave of this one I wonder? 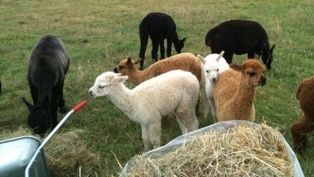 In a previous blog, I mentioned that the true colour of an Alpaca is at the skin. I was quizzed on this lately by someone who did not know anything about Alpaca and I realised that it is quite difficult to explain “tipping” to someone not even remotely “farmy”.. so here goes. 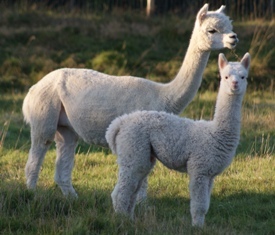 When an Alpaca is born, it is released from the amniotic fluid which has surrounded it as it grew inside its Mother. 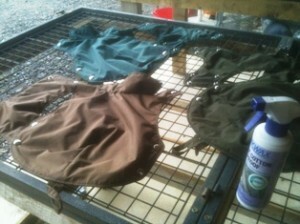 This stains the outside of what then becomes the Alpaca Cria (baby) fleece. This can be a totally different colour once the fleece is opened and therefore the colour first seen by the eyes may not necessarily be the colour underneath which is its “true” colour. Soooo, in the Alpaca world, we open the fleece up to skin level and take the colour of the fleece inside at the skin to be the Alpaca colour. Hopefully the following photograph clearly demonstrates that the colour brown at the tip of this fleece belies the fact that the Alpaca is Black. 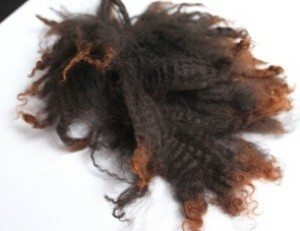 The super Alpaca this came from is solid black and this was the cria fleece.